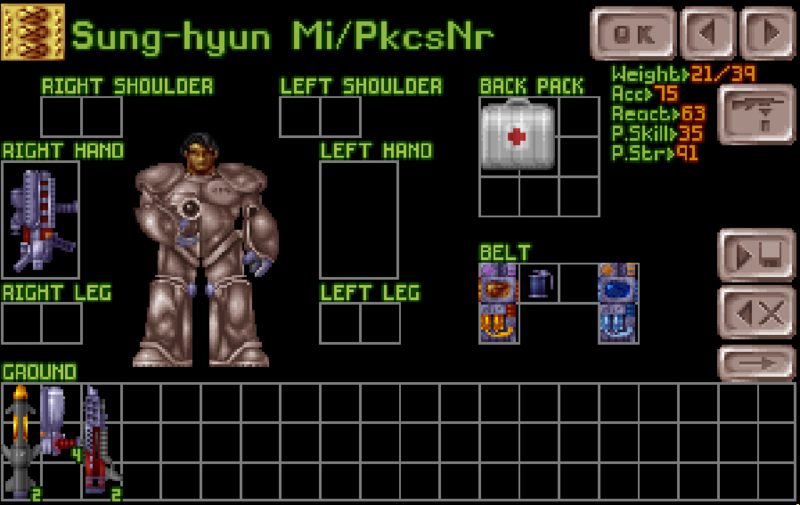 This mod adds 3 Medikits for your soldiers to use. 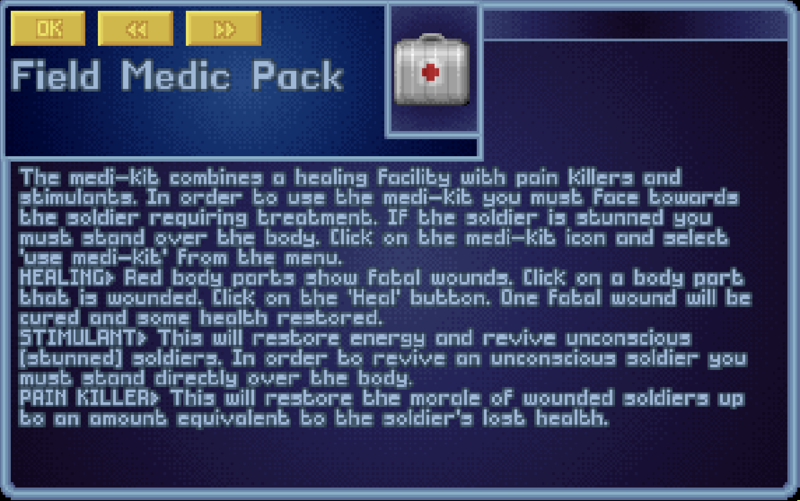 The frist one features sprites from Civilian and is avaible from the start. 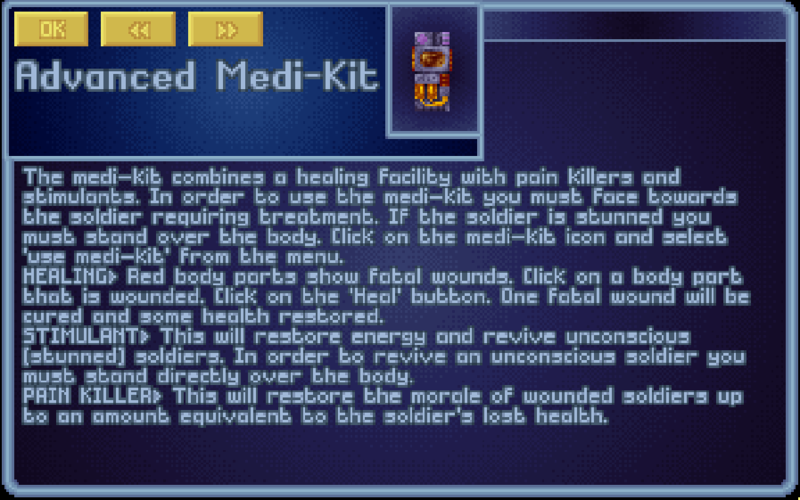 It only has 3 uses, costs 15 TU to use and only heals 1 HP per fatal wound. 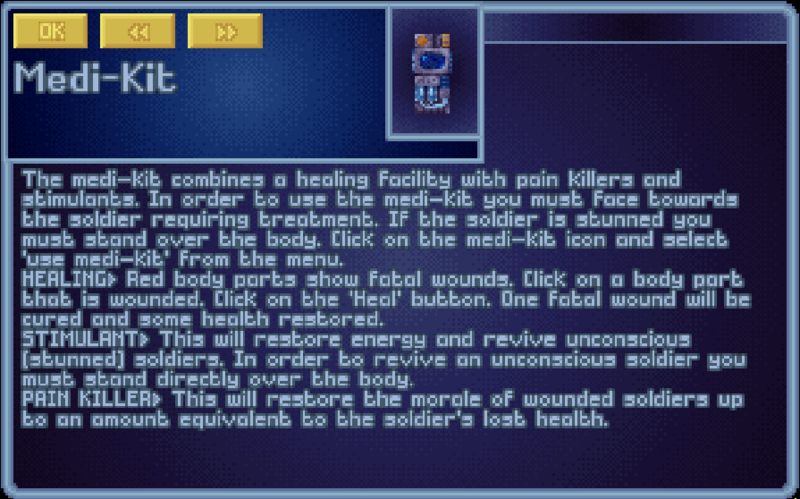 HP per fatal wound healed.